After reading these Endless Baking Soda Hacks and Uses you will always keep baking soda in reach. From home to garden to your day to day life baking soda is useful everywhere. Must check out! In baking, sodium bicarbonate helps baked goods rise and maintain fluffiness. Not just this, it also has many other uses. For cleaning stove, sprinkle it on its surface and add vinegar into it. Let it sit for a chemical reaction for 15-20 minutes and scrub it with a sponge. Don’t use wire scrubber if your stove has a glass top. You can use baking soda to whiten teeth. It is effective! Mix half a teaspoon of baking soda and a few drops of lemon and brush it on your teeth or you can use your fingers. If there is bad stain you want to remove, apply the combination on teeth for 2-3 minutes. Visit wikihow to read more ideas! If you smoke or drink caffeine infused drinks a lot, you must have a problem of yellowish teeth and bad breath. So decrease the discoloration of teeth and bad breath by rinsing and gargling a baking soda solution. The stale smell of cigarettes clings on to your ashtrays. 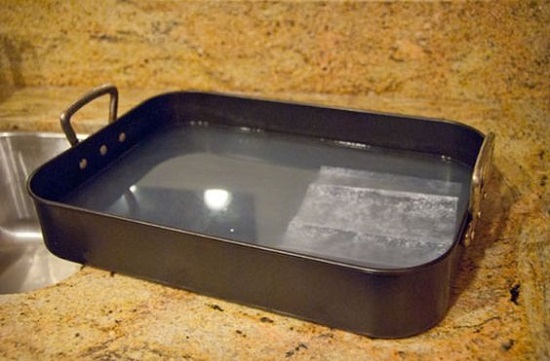 Avoid keeping stinky ashtrays by washing them with baking soda. This will also prevent your ashtrays from flaming up. All you have to do is sprinkle a little of the soda when you use it. Another teeth whitening method, mix ½ tsp of 3% hydrogen peroxide with 1 tsp of baking soda to make a smooth paste. Apply it on your toothbrush and use it to brush your teeth. To prevent tooth decay and for strong gums, use baking soda with glycerine and aloe gel. Add baking soda and vegetable glycerine (1 tsp each) and a few drops of aloe gel and brush your teeth gently with this, you can also use your finger. For good results, do this in 2-3 times a week. Exfoliate your lips and make them smooth, bright, and pink using this baking soda hack. Mix 1 teaspoon each of honey and baking soda. Apply the mixture on your lips; leave it on for a few minutes then gently rub to remove dead skin. If you have never seen baking soda and vinegar interact, you have to give it a try. Even if you are well beyond your childhood years, the chemical reaction of the two makes a safe but entertaining bubbling and flowing mix. This baking soda volcano is one of the most popular experiments. For this, you’ll need baking soda and vinegar. A step by step guide is given here! Kids will love this stuff, and it is a fast, cheap entertainment. This Baking Soda Powered Boat experiment is cool. The step by step experiment guide is available on Science Sparks. Learn about the ten cool Baking Soda Experiments here! Baking soda can be used as a facial scrub. Mix it with a little water and apply it as a paste to your face. It is all natural and free from harmful chemicals. The website Livestong.com has an article on it in detail, check that out. If you have an oily skin use this baking soda hack, it works. Mix a small amount of baking soda in your palm with a few drops of water. It will look like a paste. Massage this on your face for one to two minutes. Rub it and use it as a mild cleansing scrub. Rinse off with water. The antibacterial and antimicrobial properties in baking soda are well-known, and it can be used to treat the acne problem and pesky acne scars that are hard to get rid of. See more of it in this detailed post. Or simply, mix baking soda and water to make a thick paste and apply it to the acne affected spots and let this cover them for approx. 15 minutes and then rinse it with water. This cheap skin whitening and brightening trick is so effective and simple. Take 1 tablespoon each of baking soda and lemon juice and mix a few drops of olive to make a paste. Clean your face with face wash and apply this to your face for 10 minutes then rinse with cold water. Got tanned skin? This is one of the best baking soda hacks to try! Remove skin tanning. By preparing a paste of baking powder, honey and turmeric powder to treat a skin tan, apply this face mask for 15 minutes and rinse with water. To make it more useful, you can also add 1 tablespoon of lemon juice in it. 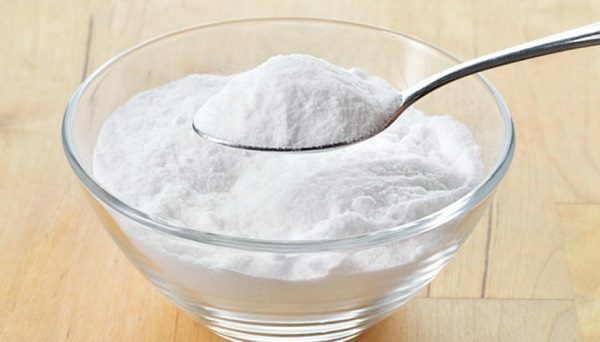 Baking soda can be used for skin rashes and irritation effectively. For this, mix baking soda with some coconut oil to make a paste and apply it on your rash. Leave it on for about five minutes and then rinse it off. Repeat this once or twice daily until you see improvement. Simply apply the combination of baking soda and water ( paste) to the bitten spot or where the irritation is to get quick relief. Clean your hands naturally with baking soda. Mix 3 parts baking soda with one part of water to make a natural hand cleanser. It has the power to scrub away dirt and neutralize odors. For smoother skin and to get rid of back pimples, acne and rashes taking a baking soda bath is a good idea. Just add 1/2 cup or 100 gms of baking soda to your bath tub in the bathing water and then soak in it for the next 15-20 minutes. Similarly, the baking soda bath can also help in sunburn and relax the body. LiveStrong.com has a post on it. 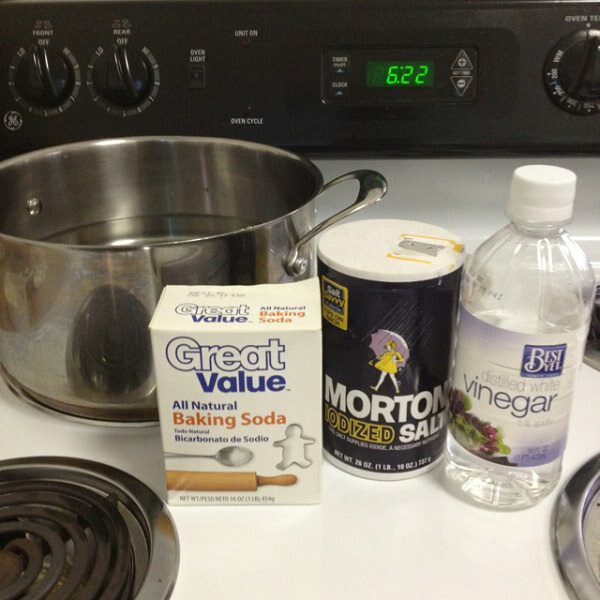 Give attention to your feet with this cheap baking soda pedicure hack. Mix 2 to 3 tablespoons of baking soda with water for a soothing foot soak. Add your favorite essential oil (like lavender oil) and soak for 20 minutes. This foot soak will not only make your feet beautiful but also give instant relief. You can continue this procedure by adding 3 tablespoons of baking soda into 1 tablespoon of water to make a thick paste. Scrub your feet with it to remove dead skin, do it regularly to get rid of cracked heels. Get rid of sweaty underarms and bad odor naturally. Dusting a bit of baking soda on your armpits will eliminate odor. If you don’t have the time or ability to wash away the odors of your day, carry some baking soda and a few cotton balls in your purse or backpack. This is a handy tip for traveling, especially overseas. If you don’t have access to soap and water, use this little trick to eliminate odors and feel fresh. When cleaning up after a barbecue, getting rid of burned up food is probably your biggest concern. Using toxic cleaners for this is never a good idea. For this, you can sprinkle the whole grill with baking soda and soak it in water for a couple of hours. After that time passes, burned up food will be scrubbed away much more easily. You can apply the same trick when dealing with burned pots and pans. Another thing in your garden that can be cleaned with baking soda is lawn furniture. There isn’t a better time to do it, than now. The summer is coming, and you will definitely want to spend more time outside, in your garden. Use baking soda to get sweeter tomatoes. Sprinkle a small amount of baking soda around the base of your tomato plants. The baking soda will be absorbed into the soil and lowers the acidity level of tomatoes, thus gives you sweeter than tart flavor. To keep cut flowers fresh for a long time put a teaspoon of baking soda in the vase. It’s that simple! Cleaning your microwave oven can be quite a task, but it’s made easier and safer with a solution water (1 quart, warmed up) and baking soda (4 tbsp). It’s a safe, non-toxic way to keep the insides of your microwave looking fresh! To clean and remove odor and stains from your refrigerator, clean all the shelves and drawers with a thick paste of baking soda and water. This will work! 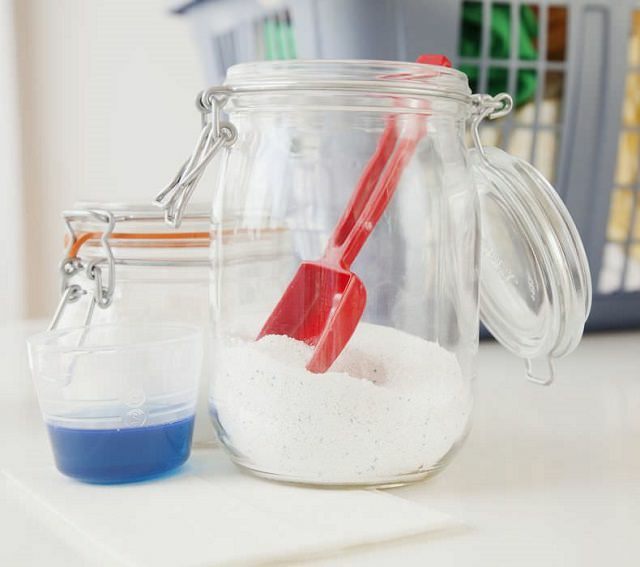 Continue deodorizing your fridge with baking soda by placing an open container of baking soda inside and let it absorb the smells for at least 24 hours. You can keep the baking soda for a couple of months but change it after that to keep your fridge odor free. These 15 Unusual Sandpaper Uses Will Put You In Surprise!